HBO is extremely secretive about “Game of Thrones,” so every little bit of information about the upcoming final season of the show is precious. Here’s what we know. Winter is here — this spring. The eighth and final season of the HBO hit, which will contain six episodes, begins on Sunday, April 14, at 9 p.m. Finally, the long break will be over; the last new episode aired on Aug. 27, 2017. There are four directors for the season, and all of them have directed the show previously. David Nutter, who gave us the Red Wedding, Jon Snow’s death, and Cersei’s walk of shame, is helming episodes one, two, and four. Miguel Sapochnik, whose resume includes the episodes “Hardhome” and “Battle of the Bastards,” is in charge of episodes three and five. And show creators David Benioff and D.B. Weiss, who’ve primarily written the series, will direct their third episode: the finale. Only the first two episodes will be under an hour. The final four will be close to 80 minutes long. According to Variety, each episode of season eight cost some $15 million. We know nothing, of course, or next to nothing, about what will happen this season. The secrecy is, as usual, intense. Reportedly, the producers shot a number of fake scenes along the way, to avoid leaks. According to Sophie Turner, who plays Sansa, there were even anti-drone guns on the set, to shoot spy cameras hovering above the action. The first episode will be a callback of sorts to the series premiere, which was on April 11, 2011. It will be set at Winterfell, but instead of King Robert’s procession arriving, it will be Daenerys and Jon arriving with her army in tow. How will Sansa deal with the new lovers? In one of HBO’s teasers, we see Sansa telling Daeny, “Winterfell is yours, your grace,” but wait — is that a hint of disgust playing around her eyes as she speaks? It’s likely Jon and Arya will have an emotional reunion in the premiere, since they haven’t seen each other since season one — but I have no evidence that will happen. It’s also likely Daeny will have an emotional response when she finds out Jon is her nephew — and the rightful heir to the Iron Throne — but again, no evidence, just logic. The fifth episode will feature the dazzlingly massive clash we’ve been waiting for, between the human characters and the White Walkers. It is directed by Sapochnik, whose facility with action scenes was loud and clear in his “Battle of the Bastards” episode in season six (for which he won an Emmy). “It’s brutal,” Peter Dinklage, who plays Tyrion, told Entertainment Weekly about the episode. “It makes the ‘Battle of the Bastards’ look like a theme park.” The final battle involved 55 night shoots. In an interview with IGN, Turner talked about Sansa’s story arc in the final season — an arc that continues Sansa’s emotional growth. “She kind of takes ownership over who she is and what she stands for,” Turner said. “Over the course of the series she’s been completely unaware of what she wants, where she wants to be, who she really is, and at the end of this season, I feel she is the most self-assured character in the show.” Unless the dead can feel confidence, it looks as though Sansa will not be one of the regular characters who’ll inevitably be killed. 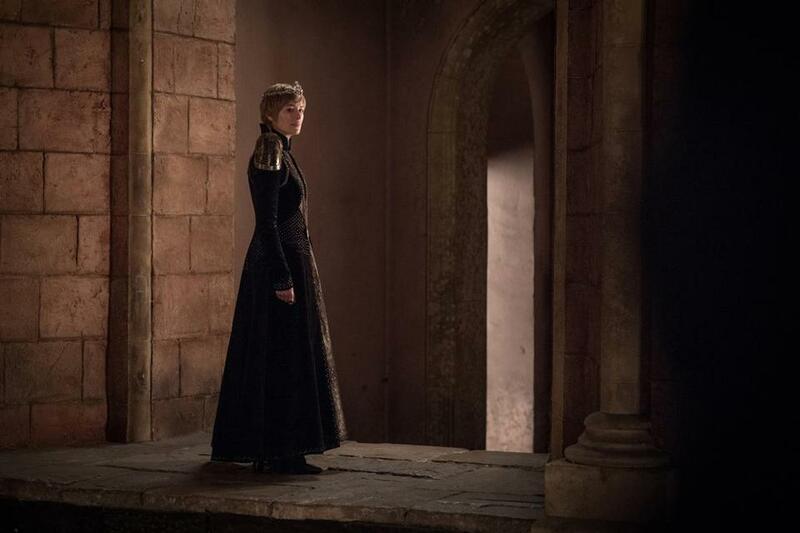 Another clue, this time about Cersei, who many speculate will die at the hands of her twin brother and lover, Jaime. Apparently, the woman who was Lena Headey’s body double for Cersei’s naked walk of shame in season five, Rebecca Van Cleave, was said to have been back on set for a week. The evidence? Her agency tweeted, “Rebecca has been in a very snowy Belfast this week shooting her repeat role for Game Of Thrones! !” The tweet was deleted, but the fact remains. Meanwhile, Jon Snow’s direwolf, Ghost, will show up at some point. And there will be a few new cast members, including Marc Rissmann as the leader of the Golden Company, a for-hire army that Cersei threatened to use to take over Westeros last season. HBO isn’t happy about losing its massive hit, and plans to extend the franchise are afoot. A number of writers are working on spinoff ideas, and at least one of the potential series — written by Jane Goldman and George R.R. Martin — has a pilot order. It’s a prequel that Martin is calling “The Long Night,” and the cast includes Naomi Watts, Miranda Richardson, and Josh Whitehouse. Also, there will definitely be a box set of the entire series, due later this year. If you buy it, you’ll get to see a cast reunion special hosted by Conan O’Brien. It was shot last year on the “Game of Thrones” set, it included past cast members such as Sean Bean (who played Ned Stark), and it won’t air on TBS’s “Conan” or on HBO.